The internet is home to impassioned debates on just about everything, but there's one thing that's universally beloved: Bill Watterson's comic strip Calvin and Hobbes. Until its retirement in 1995 after a ten-year run, the strip won numerous awards and drew tens of millions of readers from all around the world. The story of a boy and his best friend -- a stuffed tiger -- was a pitch-perfect distillation of the joys and horrors of childhood, and a celebration of imagination in its purest form. 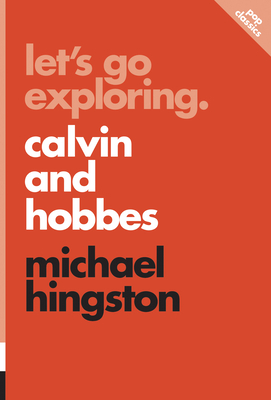 In Let's Go Exploring, Michael Hingston mines the strip and traces the story of Calvin's reclusive creator to demonstrate how imagination -- its possibilities, its opportunities, and ultimately its limitations -- helped make Calvin and Hobbes North America's last great comic strip. Michael Hingston's writing has appeared in Wired magazine, the Washington Post, and the Guardian. His novel The Dilettantes was a #1 regional bestseller. He is also co-creator of the Short Story Advent Calendar. Hingston lives in Edmonton.